Beloved comic writer Neil Gaiman returns to "Forbidden Brides"
MILWAUKIE, Ore. — Dark Horse is excited to announce Neil Gaiman (Sandman) is returning to one of his darkly complicated short stories in Neil Gaiman’s Forbidden Brides of the Faceless Slaves in the Secret House of the Night of Dread Desire. 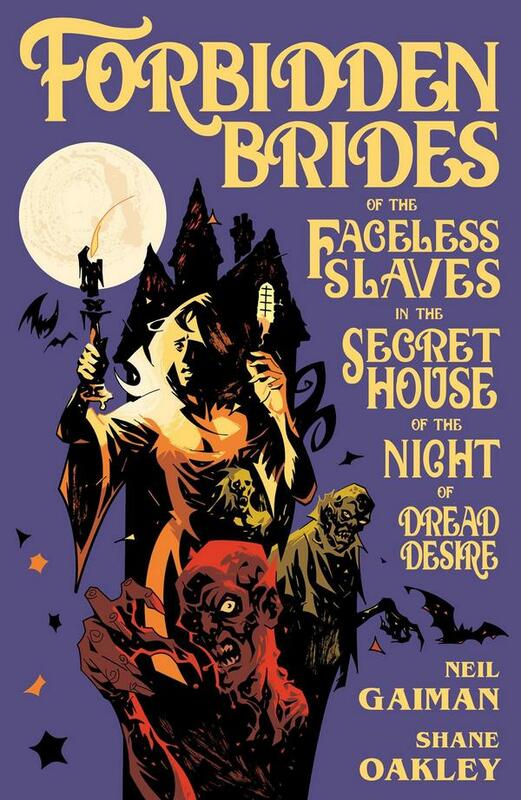 Originally published as a short story in Gaiman’s collection Fragile Things, Forbidden Brides has been adapted by Shane Oakley into a stunning hardcover graphic novel. Gaiman’s most recent graphic novel, How to Talk to Girls at Parties, debuted at number three on the New York Times bestseller list. This haunting example of satirical gothic literature tells the story of a writer struggling to compose nonfiction on a dark, stormy night. Wishing to create serious stories about frail women in white nightgowns, mysterious bumps in the night, and the undead rising to collect old debts, the author is unsuccessful because of his tendency to insert comedy into his dark tales. Talking ravens, family disagreements, and interruptions from his creepy butler further hinder his literary efforts. Forbidden Brides of the Faceless Slaves in the Secret House of the Night of Dread Desire goes on sale January 25, 2017. The hardcover graphic novel is available for preorder from Penguin Random House and Amazon.